About localization & translation technologies. How to Publish a PDF File on Facebook Timeline? Many people want to know how to create a PDF file from word file. There are many different methods that you can use to convert your Word file to become a PDF file. In this article, there are several effective methods that you can use. These tips are very easy to follow and fast to execute. It is easy to create a PDF from Word with Microsoft Word. However, this feature is only available in the latest versions of Microsoft Word. By using this feature, you can convert your Word file to become a PDF file easily by simply clicking the “File” button on top of your Word application. Then click the “Save As” button and choose the PDF file format. Choose the location for the file and click “Save” button to create the PDF. 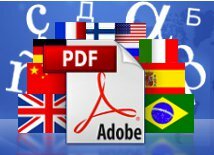 There are many online PDF conversion tools that you can use to create PDF files, for example Free PDF Convert, Print in PDF, PDF online, Doc Pub, PDF Converter and many others. Some of these services may require you to email your Word files to the websites. Then, you can simply click the “Convert” button and wait for the conversion process. After the process is done, you can simply download your PDF files. This is another great tool for converting your Word file to become a PDF file. You should have Gmail account to use this tool. After creating your Gmail account, you can go to the Google Docs website. At this homepage, you can see “Create” button. Simply click that button to upload your Word file. You are going to see the uploaded files in your Google Docs account. Then, you can simply click on the document that you are willing to open. Go to File, Download As, and click on the “PDF” button. By doing so, you are able to download your PDF file to your computer. 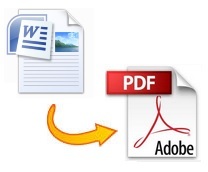 These are some effective ways to convert your Word file to become a PDF file. In addition, there are some applications and desktop tools that you can use to convert your Word files to PDF files. However, you need to install these applications on your computer before you can use them. Some applications may work on Windows, some other applications may only work on Mac. Therefore, you have to read the details before installing any software in your computer. Translate your PDF documents automatically. Keeps the images and tables. Try with the Free version.